Skye Gravestones | Murdo & Isabella (Mackenzie) Nicolson. Murdo & Isabella (Mackenzie) Nicolson. 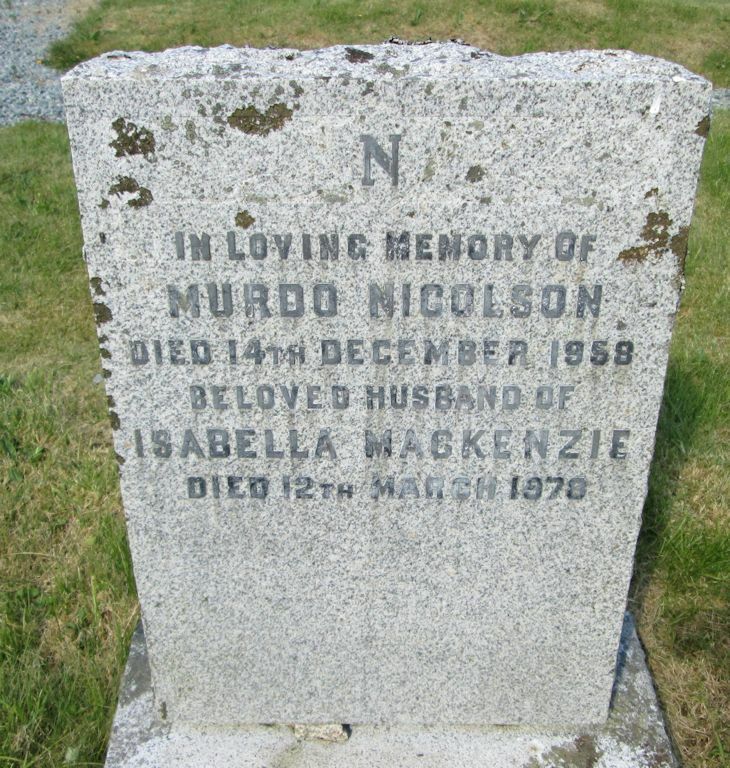 In loving memory of/MURDO NICOLSON/died 14th December 1958/beloved husband of/ISABELLA MACKENZIE/died 12th March 1978.